patio life « AFTER THE POP ! i bought some hanging flowers today and hung on my little patio. i kinda love ’em. i am having a friend over for dinner and if it doesn’t rain, maybe we’ll eat outside. i have had the day off and have been kinda lazy. i went to three greenhouses before i found something to spend a little cash on. i think we’re having grilled tenderloin with herbed goat cheese served on fresh spinach w/balsamic drizzle, green beans, some potatoes. for dessert- fresh berries w/ peach sorbet- this is my new favorite confection this summer..
flowers can always make my day. such a poofter!! This entry was posted in broken social scene, fags, flowers. Ah, but being a poofter is one of your finer qualities. I love this song and video. 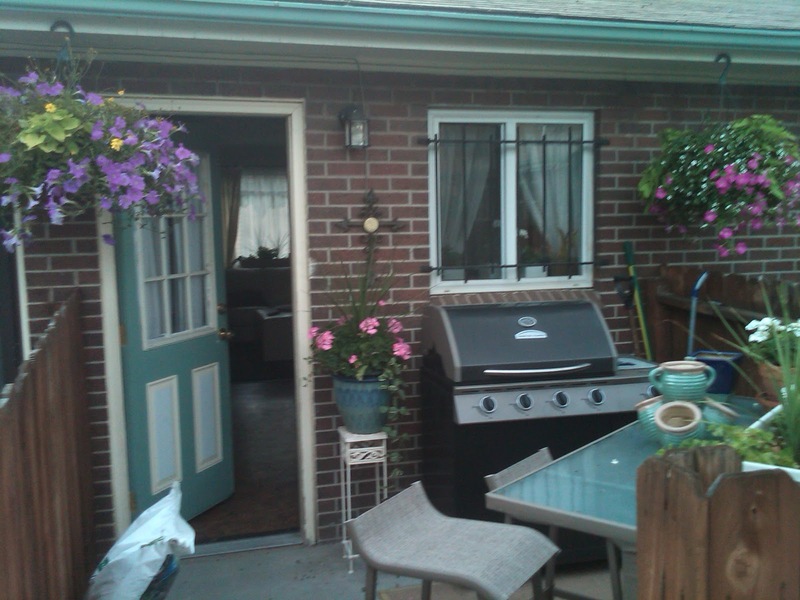 Your patio looks lovely with the flowers, too.